Microsoft, one of the world's largest software developers, offers four separate Enterprise Resource Planning (ERP) software systems, including Dynamics AX, Dynamics NAV, Dynamics GP and Dynamics SL. All four Microsoft ERP systems were the result of company acquisitions, and all four are ERP market share leaders in the midrange category. There are 300,000 businesses that use Microsoft Dynamics applications and over 10,000 Dynamics reseller partners worldwide. While each of the Microsoft ERP systems overlap in terms of target market, sales distribution channels (i.e. Value Added Resellers or VARs) and broad capabilities, each product differs significantly in terms of underlying technology, user experience, feature sets, business intelligence and administrative tools. 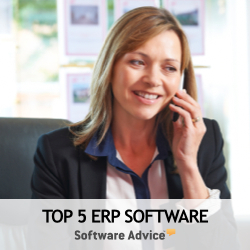 This ERP software review focuses solely on Microsoft Dynamics AX. Axapta was initially released in March 1998 in the Danish market. The ERP software product was originally developed as a collaboration between Damgaard and IBM and branded as IBM Axapta. IBM returned all rights in the ERP product to Damgaard shortly after the release of Version 1.5, and just before Damgaard merged with Navision Software A/S in 2000. The combined company, initially NavisionDamgaard, later shortened to Navision A/S, was then acquired by Microsoft in the summer of 2002 for $1.55 billion. Dynamics AX is considered by many insiders to be the flagship of the Dynamics group of products. Microsoft Dynamics AX counts over 150,000 installations worldwide, located in approximately 110 countries, and is supported in 45 languages. The MS Dynamics AX ERP system is geared for the manufacturing, distribution, retail, services, and public sector industries. MS Dynamics AX ERP's base modules are finance and accounting, customer relationship management (CRM), supply chain management (SCM), human resources (HR)/payroll, manufacturing, business intelligence (BI), and enterprise performance management (EPM). The solution is an end-to-end ERP system that extends its enterprise-wide functionality through one of the largest enterprise software business partner networks. Microsoft VARs provide sales distribution arounnd the world and ISVs (Independent Software Vendors) offer over 2000 additional add-on solutions. This vast business partner network gives Dynamics AX global support and a third party software ecosystem to deepen its functionality into specific industries and a wide range of customized applications. Dynamics AX 2012 is the latest release of this enterprise resource planning solution for midsize and large enterprises. Microsoft Dynamics AX 2012 features approximately 1,000 more enhancements than its former version, Dynamics AX 2009. Some key new changes to Dynamics AX 2012 include 1) prebuilt industry capabilities for manufacturing, distribution, services, and public sector; 2) enhanced financial dimensions; 3) improved Microsoft Office interoperability; and 4) a model-driven, layered architecture. In terms of where Microsoft Dynamics AX fits into the enterprise software landscape, the solution has moved to the ranks of "key player" among ERP solutions—being positioned in or near the leader sections by notable analyst firms. MS Dynamics AX can cater to both small- and medium-size businesses (SMBs), and large or enterprise organizations. MS Dynamics AX 2012 shows this ERP suite's maturity, which has steadily advanced over more than a decade.